he system is composed of 2750 bikes, 150 stations and 4000 docks! 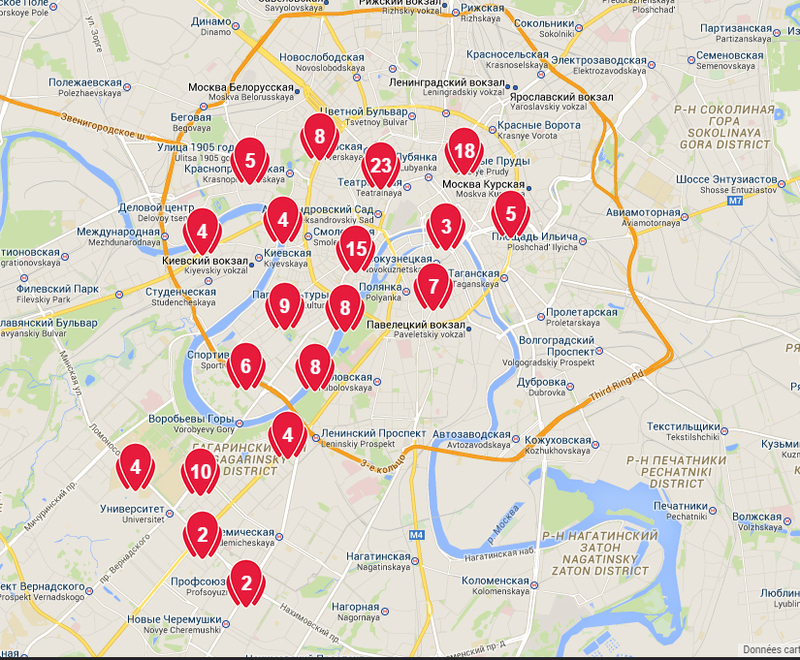 Moscow has luanched its frist bike-sharing system in 2014 ! It's composed of 4400 Bikes and 260 E-bikes !